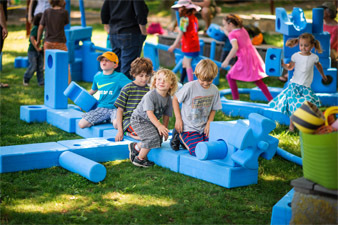 The City of Providence was recently honored as a "Playful City USA" by KaBOOM!, a national non-profit dedicated to saving play for America's children. The national program recognizes cities and towns that make play a priority and use innovative programs to get children active, playing and healthy. 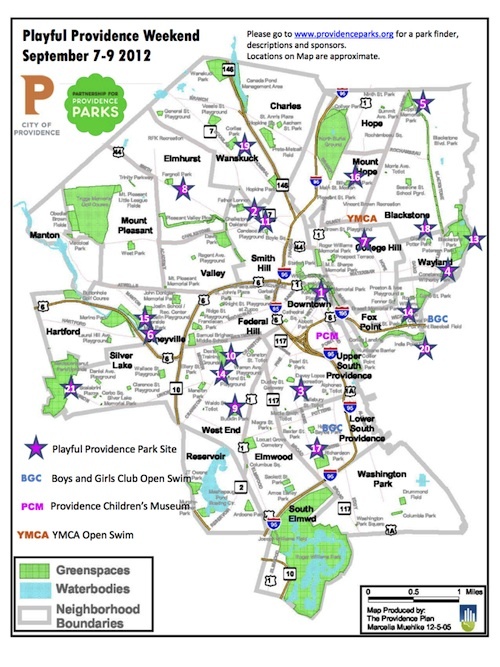 To celebrate this designation, Providence parks and other recreation venues will participate in a citywide weekend of play, beginning with a Playful Providence Kickoff Celebration held on Friday, September 7, 4:30 - 6:30 PM in Burnside Park. The celebration will feature playful activities by Providence Children's Museum, RI Parkour, RI Museum of Science and Art and more plus lively music from the Brown University Band, collaborative art projects, and a short speaking program. Playful Providence is planned by the Partnership for Providence Parks, a new group committed to providing opportunities for children (toddlers to teens) to have structured and unstructured play in safe, healthy spaces that reflect the identity of the neighborhoods in which they live, in collaboration with Providence Department of Parks and Recreation; Providence Department of Arts, Culture + Tourism; Providence Children's Museum; Rhode Island School of Design; Providence parks groups; and other partners. 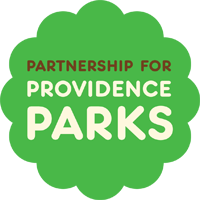 The weekend of events will promote the Partnership for Providence Parks and draw attention to the important role that volunteer groups have in making great places to play. playgrounds, museums, Boys and Girl's Clubs, and more!! Events planned at various location around the city. Click on map above for details and full list of events happening ALL over the city. Featuring playful activities by Providence Children's Museum, RI Parkour, RI Museum of Science and Art and more plus lively music from the Brown University Band, collaborative art projects, and short presentations by Superintendent Robert F. McMahon and other speakers. Bring a lawn chair or blanket and a picnic and prepare to unwind from the playful weekend with the best views in Providence and some playful music.